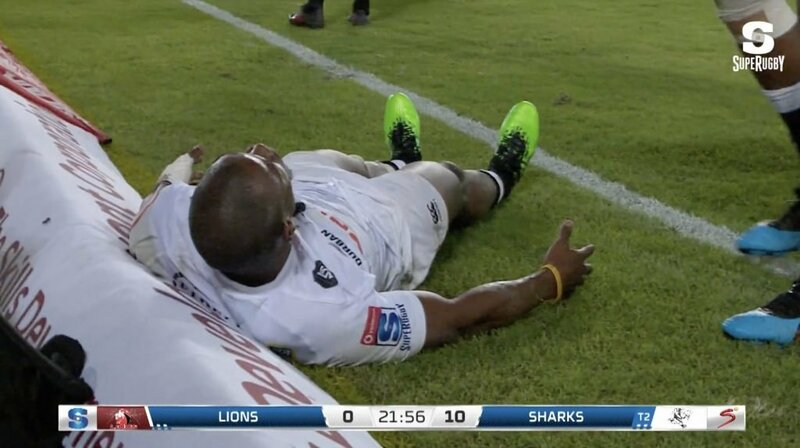 Cell C Sharks speedster Makazole Mapimpi finishes a great team try against the Emirates Lions in their Vodacom Super Rugby Round game in Joburg. Well it was a great team try, but then again it helps when the defender are falling off more tackle than I’ve had hot dinner. Seriously, why is it so bad…?